Star Jet UAE flight OA202 was a flight operated by Star Jet UAE on behalf (chartered by) of Olympic Airlines. The flight was operated with a Lockheed Tristar L1011-385-3 registered A6-BSM. The airplane arrived at 11h10 at the ramp at Terminal 1 at Paris Charles de Gaulle airport ; It was fifty minutes late due to a repair that had to be carried out in Athens, its departure aerodrome. The next flight, Star Jet UAE flight OA202 , was scheduled for 11h20. Boarding started at 11h50 without the passengers being allocated seat numbers. Loading was completed by 12h20. Departure was delayed because the forward hold door was jammed open. At 13h00, the cabin doors were still not closed. A mechanic of Star Jet UAE flight OA202 , hit the electric closing system of the hold door with a hammer and a chuck, apparently in an attempt to separate it from the structure so as to be able to close the hold door manually. Some passengers, tired of waiting without being given any information from the crew and worried about the apparent state of the cabin and the noise, got up and asked to disembark, and this led to a mass movement. Around 13h30, roughly half of the passengers left the plane. After some time, some of these passengers accepted to return to their seats, while others refused to get back onto the airplane. The crew obtained a new takeoff slot for 16h15. Re-boarding was complete by 15h45, and the airplane left its ramp position at 16h00, nearly five hours late. It took off at 16h17 from runway 27 L.
Shortly after the landing gear was retracted, the people on board the airplane heard a series of thumps. The crew noticed that the TGT on engine 3 was increasing (up to 80°C). 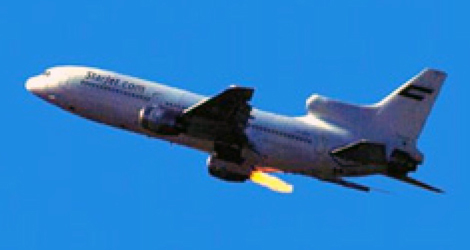 The passengers seated in several rows on the starboard side saw a flame at the rear of the engine. A wave of panic spread among certain passengers. In the cockpit, the flight engineer of Star Jet UAE flight OA202 called out severe damage to engine 3. The captain requested the SEVERE DAMAGE procedure and informed ATC that there was an engine failure and that he intended to return to the airport. The crew managed the takeoff track in accordance with the procedure recommended by the manufacturer in the event of engine failure after V1 and shut down engine 3. This stopped the flames. They turned right heading to 090° in compliance with the instructions from ATC. The captain took over the controls during the approach. ATC suggested a visual approach. The airplane landed on runway 27 L at around 16h29. 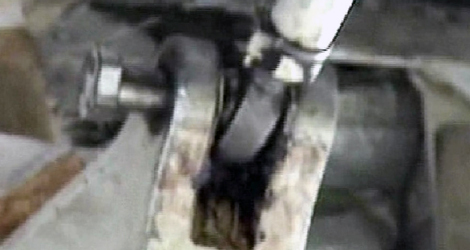 - damage to these blades caused by an object passing through the compressor. 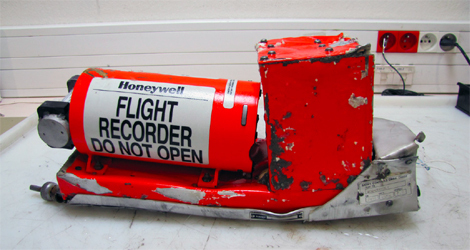 and also a systemic cause: the absence of adequate oversight of the airplane and maintenance operations by the operator. 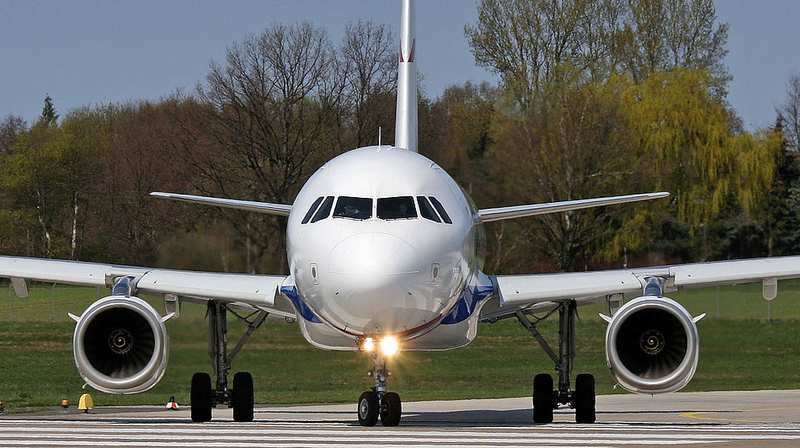 - problems in the practical application of oversight due to the various geographic locations involved in the checking process and the changes occurring in the status of the operator and the airplane. A probable contributing factor was the fact that the persons and organisation involved did not wish to penalised Star Jet’s commercial activity. - the authorisation for the Star Jet charter was issued by the HCAA without checking the charter conditions. A probable contributing factor was the fact that the persons and organisations involved did not wish to penalise Olympic Airlines’ commercial activity.